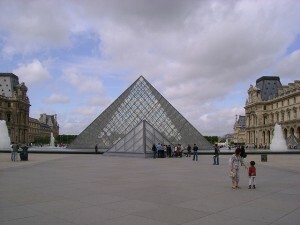 During my last trip to Paris, I attempted to visit The Louvre. It was a madhouse and I consistently got lost. By the time I was ready to leave, I got lost again and it took me over an hour to find the exit. And yet, for some reason, I plan to attempt to tackle it again. Because I do want to see things like the Venus di Milo. Because I didn’t see much of anything during my last visit because the crowds were INSANE. But I need some help. Because the maps they give you with you ticket? They’re pretty darn confusing. So I just discovered an app on Google Play that is the official app for the museum. It supposedly has guided tours and helps you find your way around the massive structure that is the museum. I’d looked for something similar before, so I think this is pretty new to the Android platform (I believe it’s been available for iPhone for some time – figures). I am not joking when I say that The Louvre massive. You can’t even imagine how large the place is until you’re wandering around inside of it. It is believed that if you were to see every work of art in The Louvre and spent a few minutes at each one, it would take over 3 months. It’s just… BIG. So here’s hoping that an app will help me immensely in re-visiting the museum. I do want to enjoy it this time. My second rule of thumb is not to visit mid-day. Thanks to a tip on TripAdvisor (my favorite travel-related website), I’m going to go later in the afternoon on one of the days when it’s open late (Wednesday or Friday). Only 75 days until my trip! It’s starting to sneak up on me!